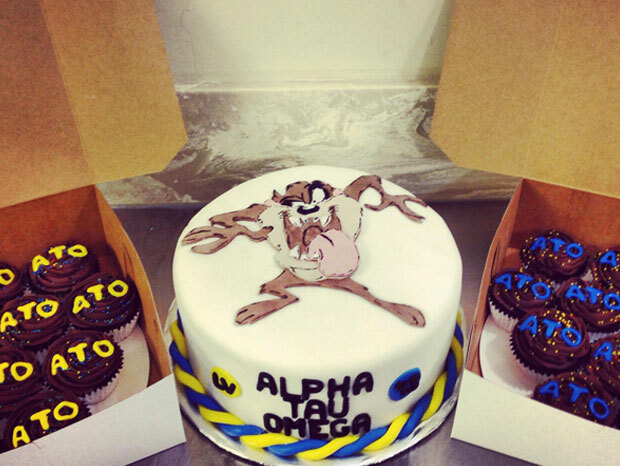 ATO Fraternity themed cupcakes and cake! Drunken chocolate cake delivered in one piece to Las Vegas! !